At 11:49 this morning, a magnitude 6.9 earthquake struck between the islands of Negros Oriental and Cebu. The Philippine Institute of Volcanology and Seismology (Phivolcs) has mentioned that the quake struck 5 kilometers northwest of Tayasan, Negros Oriental, of which the origin is tectonic. The main quake was followed by 4 aftershocks, measuring between magnitudes 4.5 to 5.8. 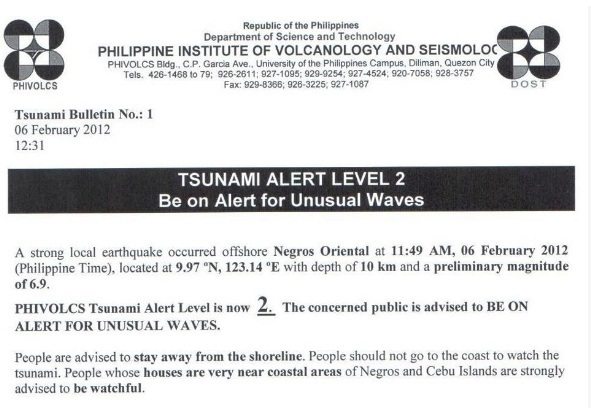 Residents in the coastal areas are earlier advised to seek higher ground because a Tsunami alert No. 2 which was earlier raised on Cebu and Negros Oriental, most especially on the coastal towns between the two provinces but is now cancelled. Hotels and Resorts in the coastal towns facing Tañon Strait are also advised earlier by the Department of Tourism to assist their guests and heed any advice issued by appropriate government agencies. 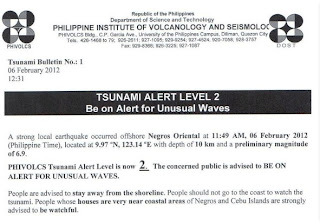 Phivolcs earlier issued the bulletin warning to alert the public for unusual waves.The tsunami alert has been lifted but vigilance should remain, Phivolcs Director Renato Solidum said. 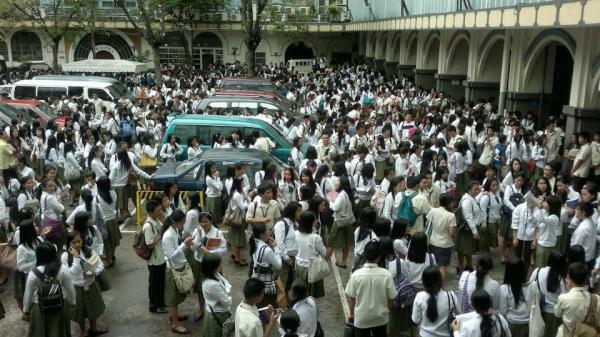 "As of 2:30 pm, level 2 is canceled. The alert was for the eastern side of Negros and western coast of Cebu. But we will continue to monitor," said Solidum in a phone interview with Yahoo! Southeast Asia. Earlier in the day, Phivolcs placed several areas on tsunami alert Level 2, following a 6.9-magnitude quake in Negros and Cebu. 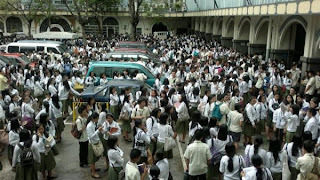 Panic and worry gripped several PH areas while netizens called for calm and prayers as Phivolcs issued the bulletin warning to alert the public for unusual waves. According to an ABS-CBN report, National Disaster Risk Reduction and Management Council (NDRRMC) chief Benito Ramos said the quake has killed one person - a child from Tayasan, Negros Oriental after a wall fell on him. Lacierda said Coast Guard Chief Edmund Tan has been instructed to prevent fishermen from going out to sea for the duration of the alert, while Department of Social Welfare and Development personnel are already on standby to lend support and relief to affected citizens. I'm in Cebu and the quake was strongly felt in Cebu City, the second largest city in the Philippines. 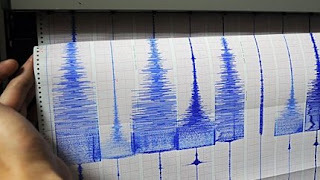 The earthquake was a jolting action, with sharp and quick shaking that lasted for about 30 seconds. Pretty scary actually, but no damage in Cebu. Exactly 11:49 the 6.9 quake occured,, we were swimming in the beach at the island of negros. . . .we were so scred that time, all people near us are so frightened but praise the lord . . . .nothing happened to my family . please help all the persons that need tents,food especially water,, in negros oriental especally near the epicenter . .all of us were given a mission in our mother earth., to take care and love it as same as ourselves. So what are waiting for . .help our brothers and sisters to have what they're needing for . .NOW LET'S STAND UP AND GIVE OURSELVES A BIG ROUND OF APPAUSE!!!!!!!!! This is an unexpected tragedy; there are many people who are victims of this tragedy. We hope and pray that they cannot happen again.